Cheats for The Sims provides quick and easy access to every cheat code for all The Sims games on PC, Mac and consoles. Just tap a game's logo and you have all the cheats at your fingertips. 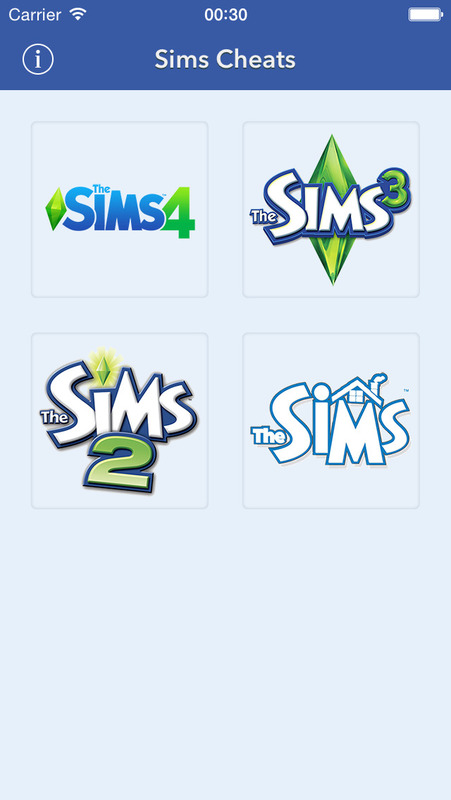 This app is an UNOFFICIAL guide to "The Sims" videogame series. It is not affiliated to the games' publisher(s) or developer(s). The guide is intended purely to assist players, and is intended to be used alongside the games. All characters, locations, and images of game logos are the property of their respective owners, and usage in this guide falls within guidelines of "fair use". If you have a concern or feel there is a direct copyright or trademark violation that does not fall within "fair use" guidelines, please contact us directly to discuss.